Development spending efforts should target improved food safety for African consumers, who need greater information and awareness to be able to demand higher standards, finds the Global Food Safety Partnership. 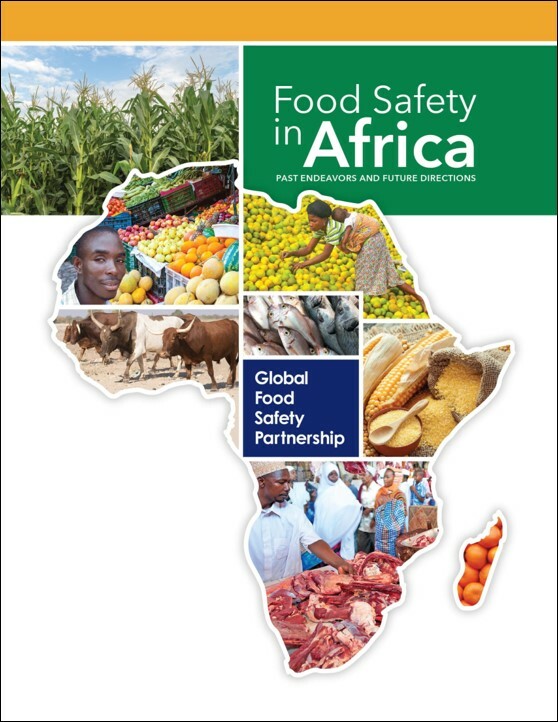 ADDIS ABABA, February 6, 2019 – More than half of donor funded food safety initiatives in sub-Saharan Africa are focused on overseas markets, with less than half on domestic consumers, a new report from the Global Food Safety Partnership has found. An analysis of more than 500 projects and activities in sub-Saharan Africa since 2010 found most focused on food safety for exports. While exports are crucial for economies, the African continent suffers the world’s worst levels of food safety, causing human capital losses of an estimated $16.7 billion a year in Africa. The Partnership called for more investment into programs focusing on public health after finding less than five per cent of donor investments addressed specific health risks, such as Salmonella and E.coli, that local consumers face when purchasing from informal food markets. The report, launched ahead of the first International Food Safety Conference in Addis Ababa, Ethiopia, highlighted the need for more targeted investment to promote food safety at a domestic level across Africa, where foodborne illnesses claim an estimated 137,000 lives a year, according to figures from the World Health Organization (WHO). Globally, foodborne disease has a public health burden similar to malaria, HIV/AIDS and tuberculosis. “The future of the food system is critical to the long-term well-being of Africa and its people, and for the global food system to be a successful provider, the food must be safe for everyone,” said Juergen Voegele, Senior Director for Food and Agriculture Global Practice at the World Bank, which hosts the Global Food Safety Partnership. Food safety is key to the success of Africa’s agriculture-led development strategies, with most smallholders growing crops and livestock for household consumption but also to sell to local markets to generate income. Yet the documented annual donor investment in food safety projects is more than 300 times less than the losses in productivity caused by foodborne illness, the report said. The authors, whose partners included the International Livestock Research Institute (ILRI) and the African Development Bank (AfDB), described four intersecting domains affecting food safety in the region. These included environmental factors, food markets, physical infrastructure and governance. “The development community is beginning to accept that there will be no food security and achievement of development goals without food safety,” said Louise Scura, Chair of the Global Food Safety Partnership governing committee. The report recommended investment into public health-focused programs with emphasis on raising awareness and empowering African consumers to demand higher food safety standards. This included efforts to better inform the public about food safety issues so that demand for safe food drives market incentives for higher standards. Food safety is essential to the success of Africa’s agriculture-led development strategies. Most smallholders grow crops for household consumption but also with the aim of selling the surplus in local markets to generate income. Many also keep livestock. Microbiological (bacterial, viral, and parasitic) hazards are responsible for about 70 per cent of the known foodborne disease burden. The annual human capital or productivity loss associated with foodborne illness in sub-Saharan Africa is about US$16.7 billion, which is more than 300 times greater than the estimated annual US$55 million donor investment in food safety projects. The rate of annual donor investment in food safety is four times lower than investment in malaria control, when considered in relation to the magnitude of the health burden. Current donor investments in food safety in sub-Saharan Africa largely focus on access to formal markets and regional and overseas exports. Among those projects for which a target market was indicated, more than half were directed towards overseas markets and another 16 per cent concern regional exports. Only five per cent of projects focused on microbiological hazards for consumers in sub-Saharan Africa. Specific microorganisms (such as Salmonella or E. coli) are rarely targeted for food safety investments. All countries in sub-Saharan Africa had at least one donor-funded food safety project between 2010 and 2017. However, the 518 projects were largely concentrated in 10 countries in East and West Africa and less than three per cent addressed the informal markets used by most consumers. A public health-focused program would likely look quite different from one focused on exports. To be maximally effective, it would focus on understanding hazards and their associated risks and developing workable, step-wise interventions in informal markets. Governance including food safety agencies and regulatory standards. Better address the health of domestic consumers dependent on informal markets. Governments and international donors should put citizen health at the heart of national food safety systems, establishing health-based goals, priorities, metrics and strategies and helping to generate the missing evidence needed for rational planning. Build capacity for well-governed, evidence- and risk-based food safety systems. The donor community and national governments should endorse principles of science- and risk-based prevention, adapted to local conditions. Harness today’s marketplace drivers of progress on food safety. Donors and national governments should support the consumer and marketplace drivers of progress on food safety through well-informed and empowered consumers, able to demand food safety, and a private sector that has capacity and accountability to respond to consumer demand. Click here to access the full report and relevant materials.